Enjoy the best inspirational, motivational, positive, funny and famous quotes by Ann Friedman. Use words and picture quotations to push forward and inspire you keep going in life! 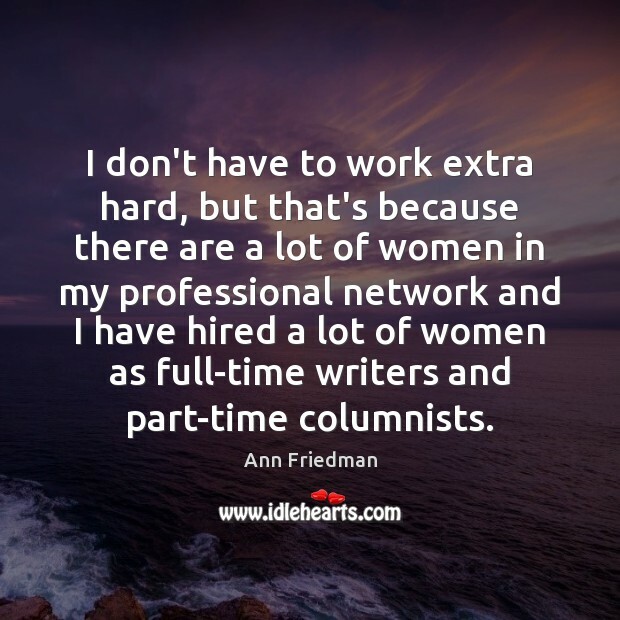 I don't have to work extra hard, but that's because there are a lot of women in my professional network and I have hired a lot of women as full-time writers and part-time columnists. If editors truly want to improve their byline ratio, they need to stop lamenting the fact that few women journalists send them cold pitches and start taking a hard look at their stable of regular contributors. How many women are on the masthead? 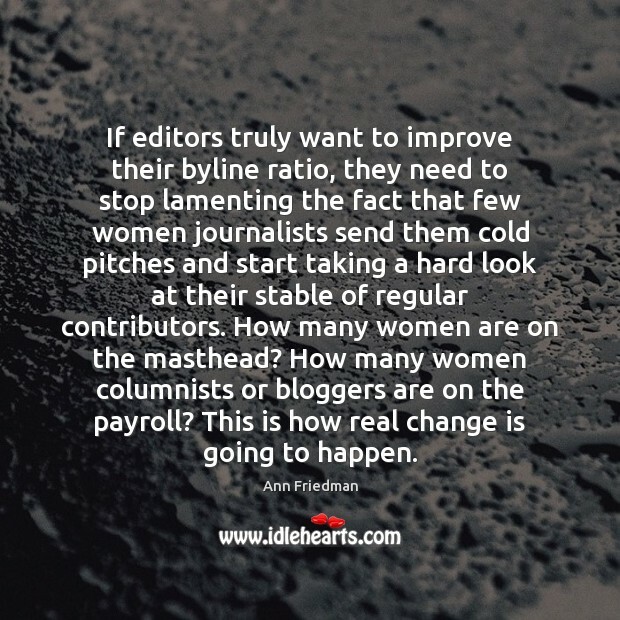 How many women columnists or bloggers are on the payroll? This is how real change is going to happen. Someone said to me that we have to encourage more young women to want top-level editing jobs. 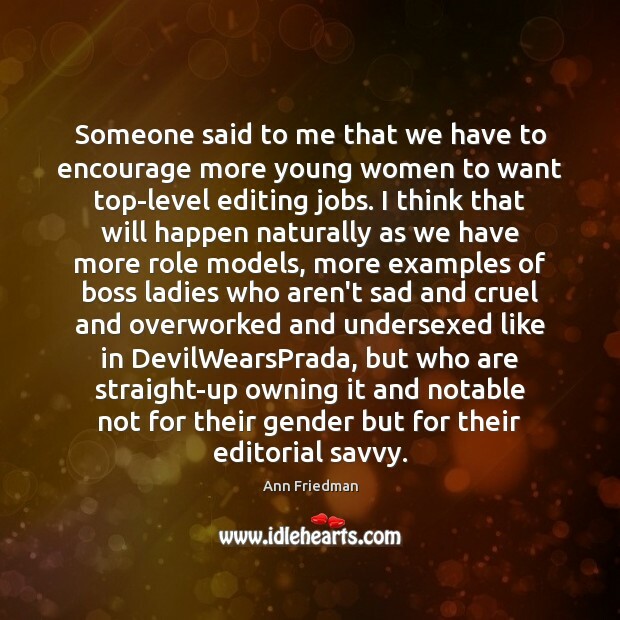 I think that will happen naturally as we have more role models, more examples of boss ladies who aren't sad and cruel and overworked and undersexed like in DevilWearsPrada, but who are straight-up owning it and notable not for their gender but for their editorial savvy. I'm interested in pitches that have compelling people and ideas at the core - and a good news peg certainly doesn't hurt. We look for stories that are solutions-oriented, but not irrationally upbeat, from writers with a strong voice. 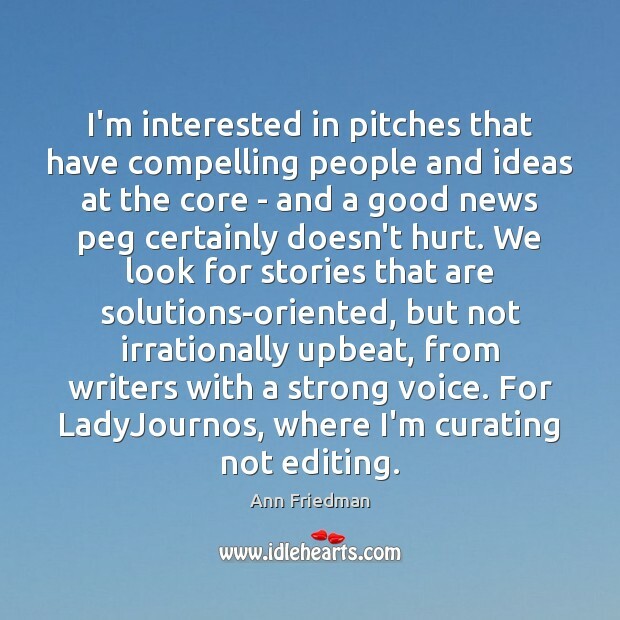 For LadyJournos, where I'm curating not editing. 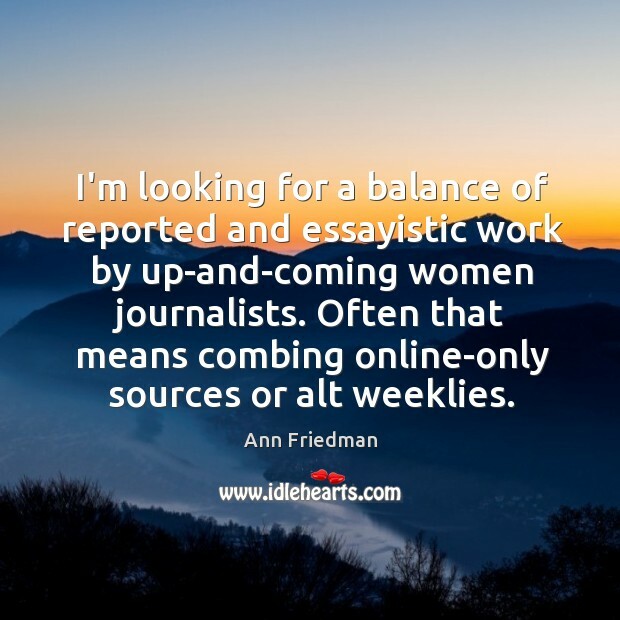 I'm looking for a balance of reported and essayistic work by up-and-coming women journalists. Often that means combing online-only sources or alt weeklies.